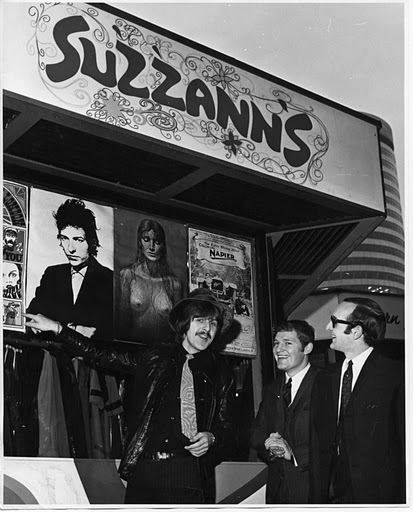 This shop, called Suzzanns was opened by Carl Wayne of The Move and was owned by Roger (Bomber) Fewtrell, one of the Fewtrell brothers, and Peter Cannon, that’s Peter in the glasses. The shop opened in 1969 in the Bull Ring. Named after both Roger and Peter’s girlfriends of the time – Susan!